DuPage County Attorneys Steven H. Mevorah, Megan E. Gieseler, and Tracey A. Hower have been selected as 2017 Illinois Super Lawyers. “DuPage County Attorneys Steven H. Mevorah, Megan E. Gieseler, and Tracey A. Hower have been selected as 2017 Illinois Super Lawyers." 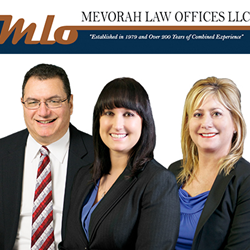 Mevorah Law Offices LLC, with offices located in Bloomingdale, Chicago, Joliet, St. Charles, and Lombard, Illinois, is proud to announce that three attorneys have been recognized as 2017 Super Lawyers. 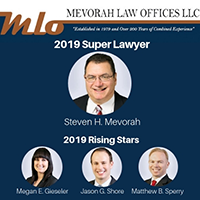 Founding Attorney Steven H. Mevorah has been named a Super Lawyer, and Attorneys Megan E. Gieseler and Tracey A. Hower have been selected as Super Lawyers Rising Stars. On a yearly basis, Super Lawyers recognizes the top attorneys in each state. Attorneys are chosen through a patented three-step process that includes: nominations, independent research, and peer evaluations. The top five percent of attorneys in each state are named Super Lawyers. Rising Stars account for only 2.5 percent of the top attorneys in each state, and qualifying attorneys must be either 40 years old or younger, or in practice for 10 years or less. DuPage County Attorney Steven H. Mevorah has held the Super Lawyers designation since 2015. 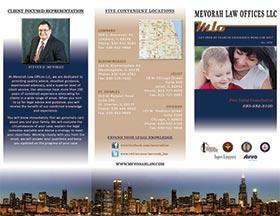 He founded Mevorah Law Offices LLC in 1979, and brings over 35 years of successful litigation experience to the firm. He concentrates his practice in family law and divorce, and personal injury litigation. Mevorah earned his J.D. from Northern Illinois University College of Law, after having served in the U.S. Marine Corps. 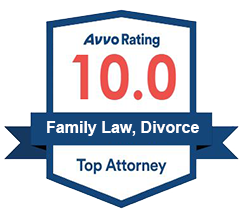 In 2015, the National Association of Distinguished Council named him to the Nation’s Top One Percent of Attorneys, and he is also rated as a “Top Personal Injury Lawyer” on AVVO based on excellent client feedback and peer reviews.